I hate getting nagged about stuff that I know I should be doing, but I haven’t been doing. The shame and guilt is uncomfortable, and instead of changing myself, I get even more resistant. I start to blame the person nagging me, because now I don’t want to do it because they are being such a nag about it. If I don’t like it, I’m guessing you don’t either. I still care about this stuff. Deeply. But shame and guilt make it worse, not better. They make us want to run away and hide… and our future depends on us being here, and now, and doing what we can. SO instead, I want to say Thank You! Thank you for every time you make a choice that makes a difference, no matter how small. Thank you for every step you take that shows you care, about yourself, your children, your community and your future. I love you, no matter what. MistressoftheInk – a friend in the Blogverse posted about being Filipino. I realized just how much I didn’t know – from Spanish Colonial government to the sheer number of islands and its impact on culture and language. When I mentioned I was from New Zealand, she suggested I write a similar post about my country and culture. So here it is. Disclaimer: I am one person with a pretty biased lens. I’m a white, middle-class woman, with a Chinese first-generation New Zealand husband. I’ve been to two out of our three islands (the big ones). I think our culture changes on a gradient from the cold south to the somewhat more tropical north. I’m not enough of an anthropologist to say exactly what the differences are, though I suspect it could have something to do with the south being much more white? When my husband moved to Christchurch from Auckland as a kid, he had a very strong northern accent that he quickly dropped in order to fit in. Still… yep. We had a vote about it recently, you see, and we spent an awful lot of money coming up with new designs, because our previous Prime Minister wanted to leave his mark by being the one who finally got our flag changed to something that better fit our country’s brand. It was a media frenzy. Most of us clearly didn’t think we needed a new flag – or at least we couldn’t stand the options they gave us, so we just voted to keep the old one. So yeah, still the Union Jack in the corner (’cause we’re still Commonwealth aye). And the southern cross on the right (like Australia, but with two less stars). We are very proud of him for being one of the first climbers to reach the top of Mt Everest (as far as we know). It’s a symbol of our Kiwi ingenuity, and courage, and determination and stuff. He’s on our five dollar note. We like sports-people a lot, actually. We’ve knighted several ex-rugby players and a few Olympians. Although now that I come to think of it, knights used to be dudes who rode around in armor trying to kill each other, so that’s kind of appropriate. Kate Sheppard was one of the most prominent leaders of the women’s suffrage movement. She was born in England, but lived in Christchurch for much of her adult life. Her hard work and determination led to New Zealand granting full suffrage for women in 1893 – considerably before the UK and the USA (who didn’t do so until after WWI). She replaced the Queen to be the face of our ten dollar note in 1993. Helen Clarke was the first woman to be voted in as Prime Minister. She was the first Prime Minister I remember, growing up, and although I had no idea about politics, I really liked that a girl could lead our country. I still have a lot of respect for her (and not much of a clue about her politics). Helen Clarke is not on any of our currency, but she was the administrator of the United Nations Development Programme until last year – when she was in the running for the Secretary-Generalship. Our current Prime Minister, Jacinda Ardern, is the worlds youngest female head of government at 37. She’s also unmarried, pregnant and so incredibly positive and genuine that you wonder how she can be a politician. As a public-sector employee myself, I’m feeling a glimmer of hope that we might be able to shift some of those entrenched inequalities, as well as providing world leadership on stuff like Climate Change. The infamous church everyone tries to photograph in Tekapo. It really is. Except for all the places that freedom campers are allowed to roam free, leaving all kinds of gross things in their wake. Our local councils are getting strict (be warned). We like to sell ourselves on our clean, green, brand. This is not entirely accurate. There is considerable tension between environmental interests and economic (especially agricultural, mining and forestry) ones. I’m not really fluent in details, so I’ll leave it at that. But I think that’s a really important point. Aside from the Māori (who got here ages ago), our population is a huge melting pot of recent immigrants. The things we might think of as stereotypical ‘New Zealand’ cultural icons, like pavlovas and sausages, are pretty western. I will be really interested to see what kinds of things we think of as iconically New Zealand in a hundred years or so, once we’ve had a lot more time to simmer together. 6. We are a melting pot. I know I just said this, but I’m gonna say it again. Us westerners are pretty individualist. We built a lot of the systems the rest of our population are trying to live inside, but we also signed a Treaty (of Waitangi) with a collectivist culture and that bit of paper is about all we’ve got by way of a meaningful founding document. As we try to come to terms with the darker side of our colonial backstory, and make good on promises we’ve largely been ignoring since the ink dried back in 1840, we are having to come to terms with the fact that the very structure of our individualist system has been hurting our indigenous people. Joining a Chinese family has opened my eyes to what it means to be inside a collectivist world-view, and it’s not always a comfortable place to be. I can be rude without realizing, or miss opportunities to show hospitality, because I never learned the unspoken rules. Still, I’m learning and I’m grateful for the patience of those around me. I hope, similarly, that our country can find a way to balance these different perspectives and come to a mature understanding of who we are together. No country is perfect, but I’m really proud of who we are in the world. We’re capable of standing up to bullies and of coming up with crazy ideas that might-just-work. My New Zealand is one where I feel safe, and free, and brave. I know we’ve got a long way to go, but we’re on the right road at least, and that gives me cause to hope. The future is in our hands, after all. Let’s make it a good one. Have you ever wondered how kids see the world? Teaching creative writing to children over the last five years has been an eye-opening experience. Kids are observant, funny, deep and sometimes breathtakingly honest. From stories about bullying and popularity to tales of survival in post-apocalyptic wastelands, from the concentration camps of world war two to the pain of supporting a friend through mental illness, these young writers are tackling big themes with courage and compassion. Now, for the first time, their stories are available for free through Smashwords (or your favourite eBook distributor). I’ve got a complete list of the anthologies and their authors here. My last post was in August, 2015. By January, 2016, I was a Mummy. I had high hopes of being an author and a mummy, but it was not to be so. Now that she’s two, I’m starting to feel inspired (and sufficiently well-rested) to dive back into the world of authorhood. Oh, and if you want to follow my fun-filled adventures in comic form, check out Mind Bits (publishing weekly on WordPress, Facebook and Tumblr). 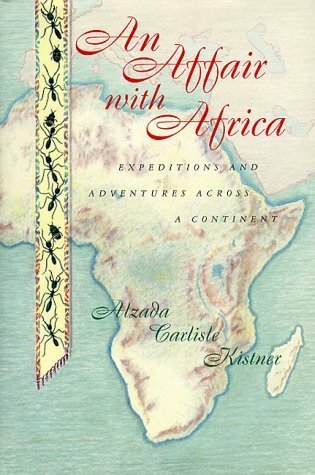 Travelling across Africa with Alzada, I marveled at the way her American nationality and white skin acted as free passes to so many things. She and her husband survived the beginning of the Congo civil war, just by putting an American flag on the window of their jeep. They frequently explored the outback with a handful of black servants or ‘helpers’ loaned to them by friends or sponsors (like the diamond company in Angola). While occasionally surprised or even shocked by the treatment of black people by their white ‘masters’, this couple (and their two daughters) mostly chose to accept the way things were in order to keep the peace and get on with their very important scientific research. They seemed nearly oblivious, at times, to the nature of the political situation surrounding them, and disinclined to enter into any sort of moralizing. I wondered if this was partially a product of the times they were living in? During the 1960’s there was still segregation & discrimination in parts of the USA, and it seemed that, as scientists, they were somehow separate / above needing to engage with the politics in any personal way. I’m not sure how I feel about this book, having come to the end. It was an interesting account of a family and a time, and I certainly learned quite a lot about the ants, termites, large mammals and scenery of different parts of Africa. I even got a really interesting glimpse into the White African experience in the last years before most of those colonies collapsed. The author expressed sadness for the fate of such beautiful countries, lost to civil war (and incidentally no longer accessible for specimen collection), but I’m not convinced she felt much empathy for the experiences of those who had to live there. Her ‘affair’ with Africa was with the land, the beautiful animals and the (mostly white) friends she made. That’s not necessarily a bad thing. Still, the next book I read about Africa needs to be by an African. I read and loved “We Need New Names” by NoViolet Bulawayo – so if anyone can recommend another book along those lines, I’ll add it to my list!! Only six more continents to go. I will have to extend my deadline as it takes me longer to read grown-up books than I thought it would. Fear not… I’ll be taking on other kinds of diversity in upcoming months. Here goes nothing! I’m really bad at birthday presents. I always have been. I remember an old school friend of mine used to give all of us $20 and a card for our birthdays. A few other friends used to tease him, but I was jealous. If only I could be that impervious to criticism, that willing to pick a standard present and never have to think about it again! I’ve tried, over the years, to come up with cool, super appropriate presents that my dear friends will always treasure, but every time, I’ve felt like a failure. Perhaps my standards for success are too high, but there’s another problem and it goes much deeper. I don’t like consumerism. I resent the whole system of birthday presents. I hate the obligation to come up with just the right ‘thing’ to add to the clutter of other random things that they feel obliged to keep, but don’t really want and hardly ever use. I know. I’ve got exactly those kinds of things lying around my house. So I’ve decided that from this day forward, I am going to join the ranks of radical non-present givers. I won’t buy you a present, I won’t donate money to random countries in your honor or give you a twenty dollar bill. And when it rolls around to the anniversary of my birth (June 24th, in case you were wondering), please respect my wishes. Don’t add clutter to my home. Don’t spend money on ‘things’ I don’t need. Give me a hug. Tell me you love me, and maybe, make me something nice to eat.